Relax before your flight with 2 complimentary single-entry invitations every year for you to access a Qantas Club or Qantas operated International Business Lounge (excluding Los Angeles Tom Bradley Terminal International Business Lounge) when you next fly with Qantas. You’ll be entitled to 2 complimentary invitations after you activate your Qantas Premier credit card. You'll receive an email when your complimentary invitations are available, which can take up to 2 weeks to process for the first initial invitations. Each subsequent year on account anniversary, you’ll be eligible for 2 more, available within two weeks of account anniversary. Single entry general lounge invitations are only made available to the Primary Cardholder. You’ll receive an email when your complimentary invitations are available. Then, simply log in to the Qantas website to link your invitations to a flight or transfer them to another Qantas Frequent Flyer member. You'll enjoy complimentary food and beverage, Wi-Fi and the latest newspapers and magazines. For full details, please view the Qantas Premier Credit Card Airline Benefits Terms and Conditions. Travel with friends and family and save up to 20% on selected Qantas and QantasLink flights within Australia for you and up to 8 companions, once every year, booked directly through your Qantas Premier Concierge. To book your discounted companion fares, simply call the Qantas Premier Concierge on 1300 992 700 anytime, 24 hours a day, 7 days a week. 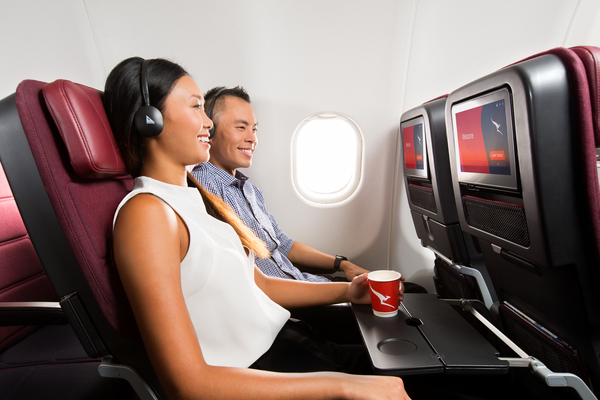 Change your existing booking on the Qantas website or call 13 13 13. For further details, view the Qantas Premier Credit Card Airline Benefits Terms and Conditions. We’ll automatically apply the 6 month interest free period to the first eligible Qantas Purchase made with your Qantas Premier credit card within 6 months of account approval. After the 6 month promotional period, the Retail Purchase Rate interest rate will apply. See all rates and fees. What are eligible transactions for this offer? Purchases from qantasshop.com.au are excluded from this offer. Get peace of mind with complimentary travel insurance, including emergency medical, cancellations, baggage, delays and more. View the Qantas Premier Credit Card Complimentary Travel Insurance Terms and Conditions for full cover details. 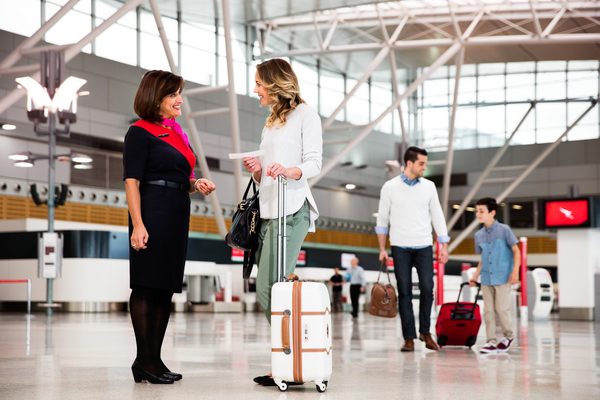 Our concierge service, dedicated to Qantas Premier cardholders, is just a phone call away, anytime you need assistance. Call the Qantas Premier Concierge on 1300 992 700 – anytime, 24 hours a day, 7 days a week. View the full Qantas Premier Credit Card Rewards Terms and Conditions. The first Qantas Purchase on your account within 6 months of card approval will automatically convert to a 0% p.a. interest rate for 6 months from the date the transaction is processed. Any unpaid balance at the end of the 6 month period will revert to the variable annual percentage rate for retail purchases, currently 19.99%p.a. A Qantas Purchase under this Special Promotion is any of the following: flights booked directly through qantas.com and Qantas Contact Centres; Qantas flights booked through selected travel agents; Qantas Frequent Flyer and Qantas Club membership, joining and annual fees; Qantas Gift Vouchers; purchases from qantasstore.com.au, and qantasepiqure.com.au. For the avoidance of doubt, purchases through qantasshop.com.au are not Qantas Purchases. The maximum interest free period applies when you pay your full closing balance from your last statement of account by the payment due date (excluding any fixed payment option balance which isn’t due for payment by that payment due date and the 0% p.a. for 6 months Qantas Spend Promotion Ending Balance amount). No interest free period is available on cash advances or balance transfers. Whilst you have a balance transfer you will be charged interest on your daily unpaid balance.